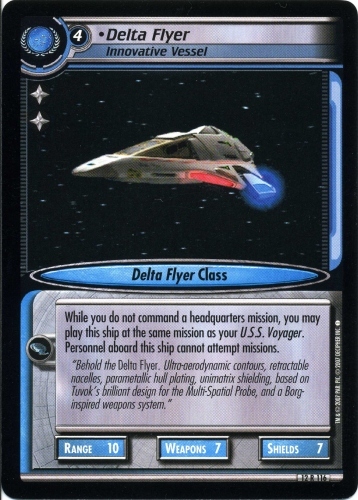 Commander: Delta Flyer. 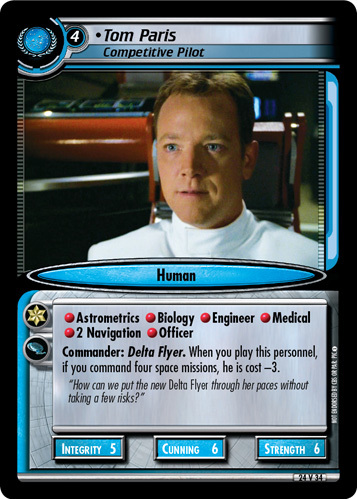 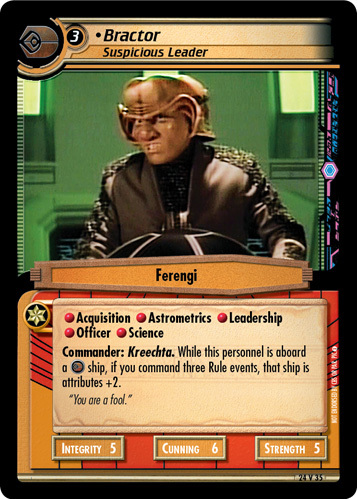 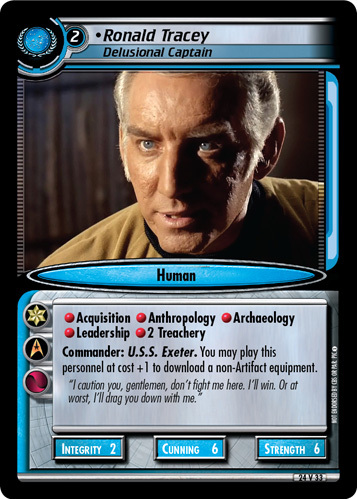 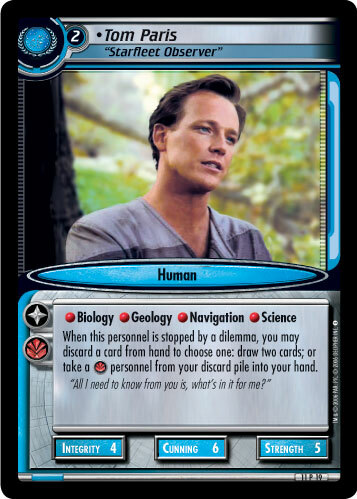 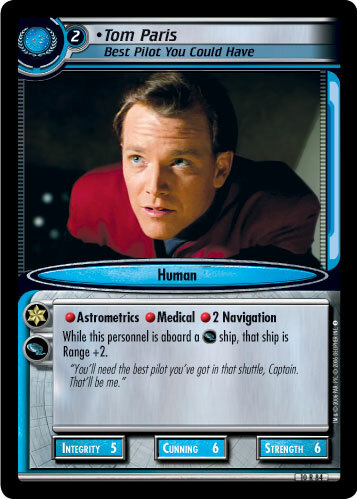 When you play this personnel, if you command four space missions, he is cost -3. 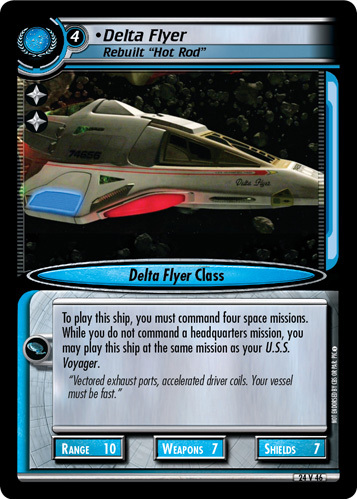 "How can we put the new Delta Flyer through her paces without taking a few risks?"